Can Having A Dog In London Really Work? City dwellers don’t have it easy. Living in the pressure-cooker that is London, can be intense at times. The packed public transport, traffic jams, crowded shops, bars and restaurants all seems to be functioning at maximum capacity, as if at any moment there might be a collapse in civil order. Yes, London living can drive you round the twist if you let it, but there’s something you can do to return a smile to your face. In London? Are you insane? There have been many words written about the benefits of dog ownership and that wisdom extends to having a dog in London. Approached in the correct way, a dog in London could be the answer to your prayers. Need convincing? Listen, you’re a stressed-out, verging on burnt-out city worker, you need something to blast away all that built up tension. A pair of irresistible puppy eyes peering up at you is only the start of it. Dogs require daily exercise which means you have to take it for a four-legged spin. Not only will pooch be getting a run out, so will you – this is good for your health and stress-levels. Result! London can be notoriously cold, not in a climactic way, in a lonely, friendless, Billy-no-mates kind of way. You can live somewhere for years without seeing your neighbours or speaking to the postman. But with a dog, a new world opens up. Dogs are fantastic ice-breakers, they never observe the niceties or conventions of polite society, they just plough in and make new acquaintances at full throttle. This forthright behaviour allows us buttoned-up Londoners to shrug off the protective strait jacket of indifference, and follow where our dogs lead. Want to expand your social circle? Get a dog. How many years have you lived in London without appreciating it? Discovering the city from a dog’s perspective will re-introduce you to all the fabulous things about London you know are there, but you’ve simply forgotten exist. The scenic tow paths along the canals, the stunning parks, heaths and green spaces, the riverside strolls and inner city pockets of leafy gorgeousness. Try taking your dog to the park at Peckham Rye for a good run off the lead. With its fab café and plenty of space for canine carousing, there’s something for everyone. Lots of dogs, lots of dog owners, it’s a nice place to be for pooches and their pals. Alternatively, good long walkies can be enjoyed at Stoke Newington in Abney Park, Richmond Park (remember there are deer roaming loose, so if your dog is the inquisitive type, keep the lead handy), London Fields in Hackney or head to Herne Hill for Brockwell Park. And that’s just scratching the surface of things, London is generous with her green spaces, it’s simply a matter of putting on your explorer’s garb and wellies, putting a poop-bag in your pocket and hunting them down. Lots of city dwellers work long hours and travel away a lot. Agreed, this could cause problems with dog care. However, there’s a solution, for kennels or dog boarding London is well served. There are fantastic services catering to every canine whim, whether it’s for daily walks, pick ups and drop offs, grooming dog boarding is geared up to provide the best in canine care and comfort. No need to worry about how your four legged pal is coping without you, when there are dedicated, friendly, dog-loving services to support your precious charge. Dogs are pretty adaptable creatures, but some breeds cope better than others with city living. For apartment dwelling, better to consider smaller breeds. 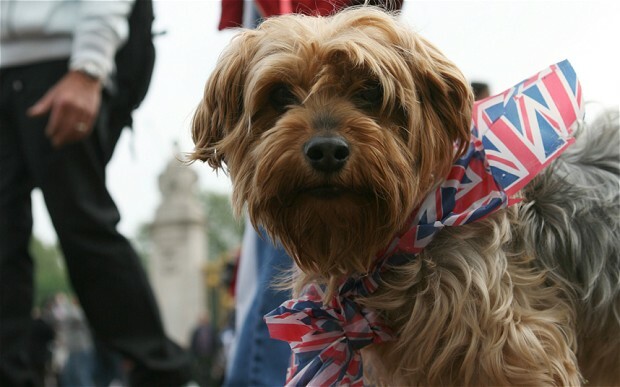 Popular canines who thrive in cities include Yorkshire Terriers, Labradors, Boston Terriers, French Bulldogs, Dachshunds, Shih-Tzu, Norfolk Terriers, Pugs and Cavalier King Charles Spaniels. If you can’t decide, take a visit to Battersea Dogs Home for ideas and inspiration. There will undoubtedly be some cute candidates there to tempt you. But, before you make any decisions or commitments, take a step back to fully consider the implications of dog ownership. Taking on the responsibility of a canine companion is a serious thing – have you reflected adequately on the issues of vet bills, feeding costs, having enough time, how a dog’s life will stitch seamlessly into yours? Owning a dog in London is certainly not the easy option, but enough people do it for us to know it must be worthwhile. Soon you will know all the dog friendly pubs and restaurants in your area of London, as well as many of the secret green spots and even the local dog owners. Your life in London could soon be totally unrecognisable. The question at the outset was: Can having a dog in London really work? By now you should be so convinced of the wisdom of getting a dog-dude to keep you company, that the only sensible question is: How can you not have a dog in London?